Indiana copyright owners will now be able to collect royalties more easily. The Copyright Royalty Board Judges announced the termination of the transition period from paper filing to electronic filing using the eCRB electronic filing and case management system. Effective January 1, 2018, all parties having the requisite technological capability must file documents electronically. The CRB will not accept paper filings except filings (1) from pro se parties technologically incapable of using eCRB and (2) documents not amenable to electronic filing as described in 37 CFR § 350.5(j). Any entity obtaining an eCRB password consents to electronic delivery of all documents subsequent to a Petition to Participate. See 37 CFR § 350.5(g). The Judges refer counsel and pro se parties having an interest in CRB proceedings to 37 CFR § 350.5. To register a work, submit a completed application form, and a nonreturnable copy or copies of the work to be registered to the U.S. Copyright Office. See Circular 1, Copyright Basics, section “Registration Procedures., and Circular 4, Copyright Office Fees”. Yes. The Copyright Office offers online registration through its electronic Copyright Office (eCO). See SL-35. See Circular 4, Copyright Fees. Do I have to send in my work? Do I get it back? You must send the required copy or copies of the work to be registered. Your copies will not be returned. If you register online using eCO eService, you may attach an electronic copy of your deposit. However, even if you register online, if the Library of Congress requires a hard-copy deposit of your work, you must send what the Library defines as the “best edition” of your work. For further information, see Circular 7b, Best Edition of Published Copyrighted Works for the Collection of the Library of Congress, and Circular 7d, Mandatory Deposit of Copies or Phonorecords for the Library of Congress. 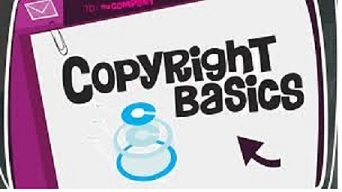 Upon their deposit in the Copyright Office, under sections 407 and 408 of the copyright law, all copies and identifying material, including those deposited in connection with claims that have been refused registration, are the property of the U.S. government. Will my deposit be damaged by security measures in place on Capitol Hill? May I register more than one work on the same application? Where do I list the titles? Do I have to use my real name on the form? Can I use a stage name or a pen name? There is no legal requirement that the author be identified by his or her real name on the application form. For further information, see FL 101, Pseudonyms. If filing under a fictitious name, check the “Pseudonymous” box when giving information about the authors. Will my personal information be available to the public? Yes. Please be aware that when you register your claim to a copyright in a work with the U.S. Copyright Office, you are making a public record. All the information you provide on your copyright registration is available to the public and will be available on the Internet. How long does the registration process take, and when will I receive my certificate? Can I submit my manuscript on a computer disk? No. Floppy disks and other removal media such as Zip disks, except for CD-ROMs, are not acceptable. Therefore, the Copyright Office still generally requires a printed copy or audio recording of the work for deposit. However, if you register online using eCO eService, you may attach an electronic copy of your deposit. However, even if you register online, if the Library of Congress requires a hard-copy deposit of your work, you must send what the Library defines as the “best edition” of your work. For further information, see Circular 7b, Best Edition of Published Copyrighted Works for the Collection of the Library of Congress, and Circular 7d, Mandatory Deposit of Copies or Phonorecords for the Library of Congress. Copyright Law: What Does Copyright Protect? Copyright law does not protect domain names. The Internet Corporation for Assigned Names and Numbers (ICANN), a nonprofit organization that has assumed the responsibility for domain name system management, administers the assigning of domain names through accredited registers. A mere listing of ingredients is not protected under copyright law. 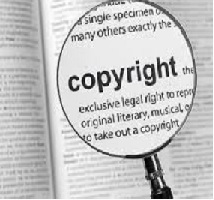 However, where a recipe or formula is accompanied by substantial literary expression in the form of an explanation or directions, or when there is a collection of recipes as in a cookbook, there may be a basis for copyright protection. Note that if you have secret ingredients to a recipe that you do not wish to be revealed, you should not submit your recipe for registration, because applications and deposit copies are public records. See FL 122, Recipes. Copyright does not protect names, titles, slogans, or short phrases. In some cases, these things may be protected as trademarks. Contact an intellectual property attorney or the U.S. Patent and Trademark Office for further information or see Circular 34. However, copyright protection may be available for logo artwork that contains sufficient authorship. In some circumstances, an artistic logo may also be protected as a trademark. Washington, D.C. – Reps. Hakeem Jeffries (D-NY), a member of the House Judiciary Committee, and Tom Marino (R-Pa) proposed legislation to create an alternative forum to facilitate the adjudication of “small” copyright claims. H.R. 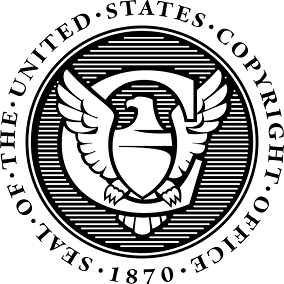 5757, titled the Copyright Alternative in Small-Claims Enforcement (CASE) Act of 2016, would establish a Copyright Claims Board (“CCB”) within the U.S. Copyright Office. Adjudication with the CCB is intended to be simpler and less expensive than proceeding in federal court. These cases would be heard by a CCB panel of three Copyright Claims Officers. Adjudicating in the CCB forum would be voluntary and respondents could opt out. The jurisdiction under CASE would be limited to civil claims of copyright infringement of $30,000 or less in damages. The CCB would also be authorized to hear claims of abusive takedown notifications under the Digital Millennium Copyright Act. The U.S. 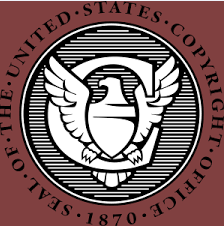 Copyright Office, a part of the Library of Congress, issued a final rule adopting exemptions to the provision of the Digital Millennium Copyright Act (“DMCA”) that prohibits circumvention of technological measures that control access to copyrighted works. The DMCA was enacted in 1998 to implement various elements of copyright-related World Intellectual Property Organization treaties. Included in the DMCA was a prohibition against circumventing technological measures employed by or on behalf of copyright owners to protect access to their works. The DMCA also provided for exemptions to this prohibition, which are issued by the Librarian of Congress following a rulemaking proceeding. In the course of this proceeding, the Librarian determines which “noninfringing uses by persons who are users of a copyrighted work are, or are likely to be, adversely affected by the prohibition against circumvention in the succeeding three-year period” and, through the final rule, exempts that class from the prohibition for that three-year period. 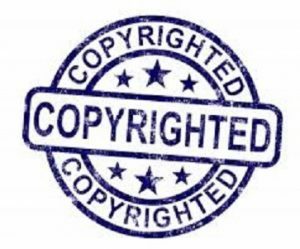 However, in defining willfulness when it comes to copyright infringement, courts differ in their interpretations of which of the two acts – copying or infringing – requires willful intent. The minority view, endorsed by the Second and Ninth Circuits, holds that “willful” means only intent to copy, not intent to infringe. The majority view, however, looks for intent to infringe rather than merely intent to copy, thus, requiring the government to demonstrate a voluntary, intentional violation of a known legal duty. 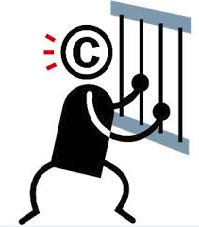 The principal criminal statute protecting copyrighted works is 17 U.S.C. § 506(a), which provides that “[a]ny person who infringes a copyright willfully and for purposes of commercial advantage or private financial gain” shall be punished as provided in 18 U.S.C. § 2319. Section 2319 provides, in pertinent part, that a 5-year felony shall apply if the offense “consists of the reproduction or distribution, during any 180-day period, of at least 10 copies or phonorecords, of 1 or more copyrighted works, with a retail value of more than $2,500.” 18 U.S.C. § 2319(b)(1). The 1992 amendments to section 2319 have made it possible to pursue felony-level sanctions for violations relating to all types of copyrighted works, including computer software and other works written, stored or transmitted in a digital format, if the other elements of the statute are satisfied. Felony penalties attach only to violations of a victim’s rights of reproduction or distribution in the quantity stated. A misdemeanor shall apply if the defendant does not meet the numerical and monetary thresholds, or if the defendant is involved in the infringement of the other rights bestowed upon the copyright holder, including the right to prepare derivative works, or the right to publicly perform a copyrighted work. 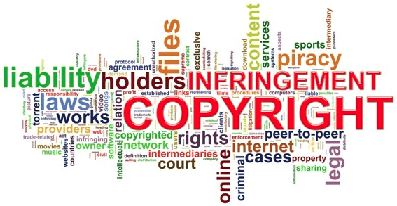 There are four essential elements to a charge of criminal copyright infringement: (1) that a valid copyright; (2) was infringed by the defendant; (3) willfully; and (4) for purposes of commercial advantage or private financial gain. Attempts to infringe are prohibited to the same extent as the completed act. Conspiracies to violate the Copyright Act can be prosecuted under 18 U.S.C. § 371. A minority of courts also require that the government prove the absence of a first sale, and refer to this as a fifth element of a section 506(a) offense. However, the majority position is that the absence of a first sale is an affirmative defense. As stated in the legislative history, “[a]s long as a work fits within one of the general subject matter categories [of federal statutory copyrights], the bill prevents the States from protecting it even if it fails to achieve federal statutory copyright because it is too minimal or lacking in originality to qualify, or because it has fallen into the public domain.” H.R. Rep. No. 1476, 94th Cong., 2d Sess. 51, 131 (1976). The law of copyright is codified at Title 17 of the United States Code. The principal prohibitions relating to criminal copyright infringement are set forth at 17 U.S.C. § 506(a) and 18 U.S.C. § 2319. Titles 17 and 18 also contain a number of other provisions that make illegal certain practices which are inconsistent with Congress’ copyright protection scheme. In the past several years, these criminal sanctions have been revised significantly, and the penalties for criminal infringement of copyrights have been increased. Under the Copyright Felony Act of 1992, infringement of a copyrighted work may now constitute a felony under federal law, depending on the number of infringing copies reproduced or distributed in a 180-day period, and their retail value.